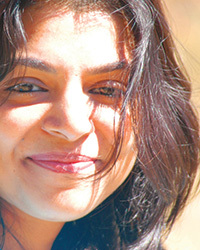 Nirali Shah was introduced to spiritual contemplative practices growing up in India since a very early age. She teaches meditation with an emphasis on mind-body awareness and self-inquiry. She has spent several years sitting long periods in meditation centers, monasteries and cells in Asia and United States. She is a certified mindfulness facilitator from UCLA's Mindful Awareness Research Center, part of the Semel Institute for Neuroscience and Human Behavior. Nirali served in one of the largest slum communities of Asia for four years, working on issues related to livelihood and health. She is also the founder of Shvaas, a platform that streamlined thousands of hours of volunteers efforts to work on meaningful social change projects. She currently teaches meditation at technology companies around the world. She also teaches at Insight Meditation Center, Redwood City, California as well as facilitates retreats with Spirit Rock and Inward Bound Mindfulness Education. You can find more information on niralis.com.